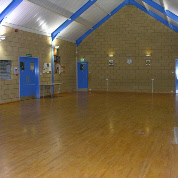 Beacon Hall is a modern facility that can be used for a wide variety of uses. Check out What’s On to see the range of groups that use our facilities. A great venue for a wedding reception, party, or conference. Please review our facilities below and do not hesitate to get in touch to discuss any specific requirements you may have. 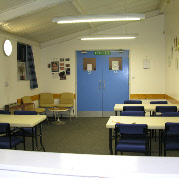 The main hall is approx 25ft by 50ft, and can seat up to 100 with full table settings. There is direct access to the car park for loading / offloading. The space is suitable for a wide range of uses. See What’s On for examples. The lounge is self contained or can be used in conjunction with the main hall or on its own. It is suitable as a dining room for up to 30, or for meetings up to 25. There is direct access to the open grassed area at the front of the hall. Whether you’re planning a big party or just a small gathering this serving area is perfect for your needs. 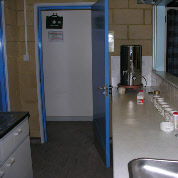 It serves both the main hall and lounge through serving hatches. The kitchen has all you need to cater for your event or gathering. 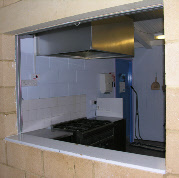 A large oven and hob, with, fridge and plenty of work-surface for food preparation. There is a hatch through to the main hall for serving your food.